CD ROM and DVD collection. The CD ROM collection encompasses more than 2,024 discs received by the United Nations, specialised organisations of the United Nations, the EU, The Organisation for Security and Co-operation in Europe, NATO, USA and others. In 1956 the St. St. Cyril and Methodius National Library, which had a full deposit of official publications, decided to set up a separate book collection with a specific organisation and storage regime of the documents. This collection included the publications of ministries, agencies, committees and other institutions deposited in the Library, publications of the governing bodies of public organisations and creative unions, centres and research institutes; instructions, statutes and rules of procedure, reports, archival materials of the governing bodies of political, mass, professional, scientific, technical and sports organisations and unions, legislative and guidance materials, technology manuals and production safety guidelines, guides to technical exploitation of machines, equipment and vehicles, timetable of vehicles, traffic rules and regulations, editions with methodical instructions, reference books. Following a decision by the National Library’s Board of Directors in 1971 the collection was renamed tothe “Official Publications Collection”. Various types of documents were added to the collection annually, which led to its transformation in 2005 into the Bulgarian Official Editions Collection.Today, nearly 60 years later, the collection of Bulgarian publications is quite extensive, enriched, diverse, evoking an ever-increasing research interest. Following the Bulgaria’sadmissionto the UN on 14thof December 1955 the St. St. Cyril and Methodius National Library was declared a deposit library of the UN and of its specialised organisations. Subsequently, in 1956 the building of a collection of UN publications began in some of the official languages of the organisation chosen by the Library: English, Russian, French, and for publications of the specialised organisations – in the language, in which most of their publications are published. At the end of 1996, on the occasion of the 51th anniversary of the United Nations, the department was named Information Component of the UN (Minutes No 27 of the Council of Ministers dated 25 April 1996). Since October 1998, the status of the Library has been reaffirmed as a depository of the United Nations publications, with a full deposit regime for the official editions of the United Nations main bodies. Since the mid-1950s the Library started receiving publications of the European Economic Community. At the end of 2000 the Library was declared a European Deposit Library, with a full deposit regime vis-à-vis the European Commission. Since 2007, it has officially been declared a European Documentation Centre. For the most part, the sources are in English and a significantly smaller portion – in French. – The International Private Law Unification Institute – since November 2002. – the European Organisation for Nuclear Research (CERN). – Official publications of individual countries. 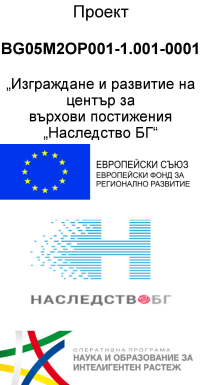 – Catalogue of the Bulgarian official publications, subject to batch processing. Access to the collection is granted via Official Publications Department in Reading room 9.
Business hours of the Department: Monday – Friday: 8.30 – 17.00. Free use of Internet is provided to readers to search international organisations’ websitesfor documents and information. The library staff provides information assistance regarding the collections content and the functions of the Department. Search of factual information based on documentary sources available among the library holdings and electronic resources available on the Internet. Copies of documents of international organisations on the Internet are available to readers free of charge. Thanks to good cooperation with some agencies, institutions,and information centres, the readers are directed to the location of the documents and information they are looking for.